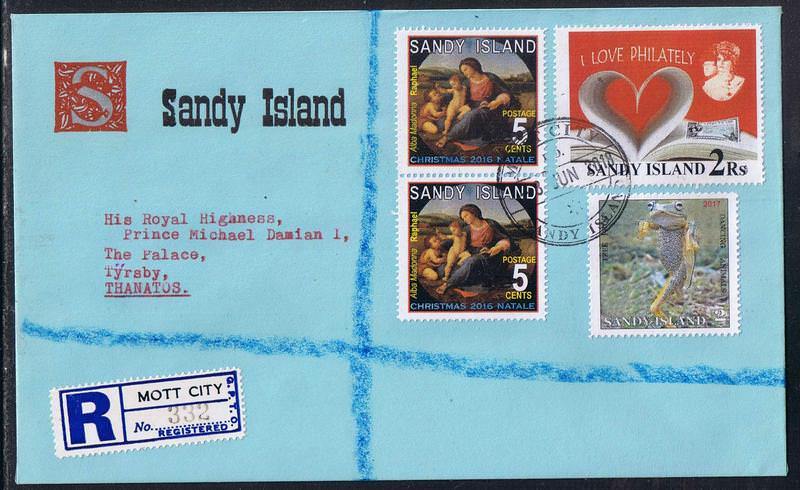 Quote Reply Topic: Sandy Island stamps. For the delectation of cinderella collectors everywhere, here are some details on the stamps of Sandy Island, an ephemeral stamp-issuer thought to be in the Caribbean. These are the brainchild of a veteran Italian philatelist. 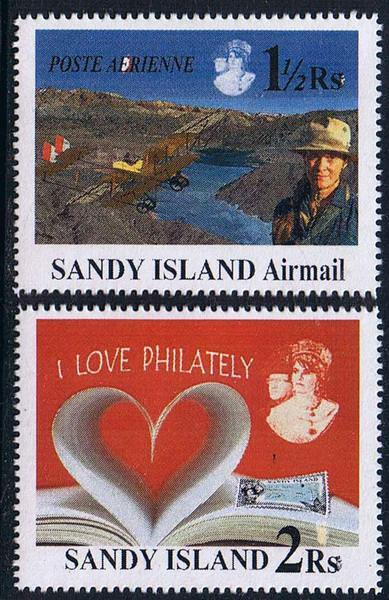 Sandy Island 2016 Airmail and Philately issue. The Sandy Island Post Office will issue a new series of stamps to celebrate the Air Mail Service, announced the Postmaster, Signor Fabio Vaccarezza, today. 1½ Rupees … The plane crosses Sandy Island, and pilot. Island 5¢ stamp, with “I love Philately”. Each stamp also shows Her Majesty the Queen of Sandy Island, and His Highness, the Royal Consort. Date of issue is 7th August 2016. The stamps were printed in full colour and perforated 12 gauge, by Chan Hui Shudian Printing SA, Minaue, Waikoa Island. The Sandy Island Post Office will issue a new postage stamp featuring a classic Old Master painting for use on the Christmas mails, announced the Postmaster, Signor Fabio Vaccarezza, today. 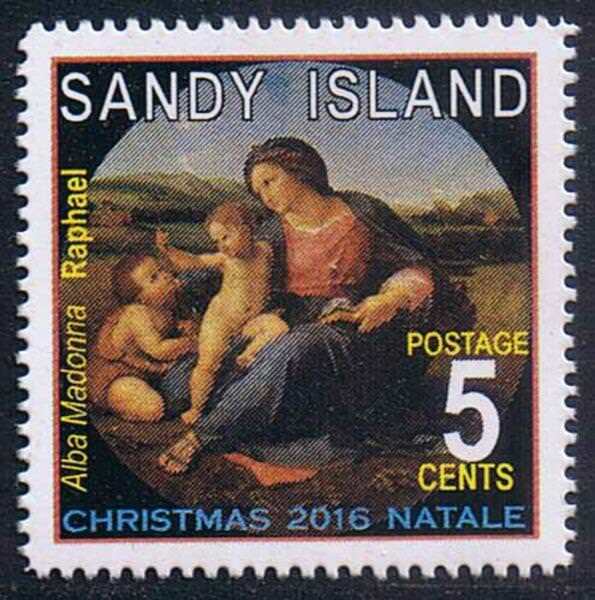 The stamp features the painting Alba Madonna, by Raphael, and is valued at 5 cents. Date of issue is 5th December 2016. The stamps have been printed in full colour and perforated 12 gauge, by Chan Hui Shudian Printing SA, Minaue. The stamps are available in small sheets comprising twenty stamps, at $1 per sheet. Raffaello Sanzio da Urbino (1483 – 1520), known as Raphael, was an Italian painter and architect of the High Renaissance. His work is admired for its clarity of form, ease of composition, and visual achievement of the Neoplatonic ideal of human grandeur. Together with Michelangelo and Leonardo da Vinci, he forms the traditional trinity of great masters of that period. Raphael was enormously productive, running an unusually large workshop and, despite his death at 37, leaving a large body of work. Many of his works are found in the Vatican Palace, where the frescoed Raphael Rooms were the central, and the largest, work of his career. The best known work is The School of Athens in the Vatican Stanza della Segnatura. After his early years in Rome much of his work was executed by his workshop from his drawings, with considerable loss of quality. He was extremely influential in his lifetime, though outside Rome his work was mostly known from his collaborative printmaking. After his death, the influence of his great rival Michelangelo was more widespread until the 18th and 19th centuries, when Raphael's more serene and harmonious qualities were again regarded as the highest models. His career falls naturally into three phases and three styles, first described by Giorgio Vasari: his early years in Umbria, then a period of about four years (1504 – 1508) absorbing the artistic traditions of Florence, followed by his last hectic and triumphant twelve years in Rome, working for two Popes and their close associates. Sandy Island 2017 Lighthouse and Frog issue. 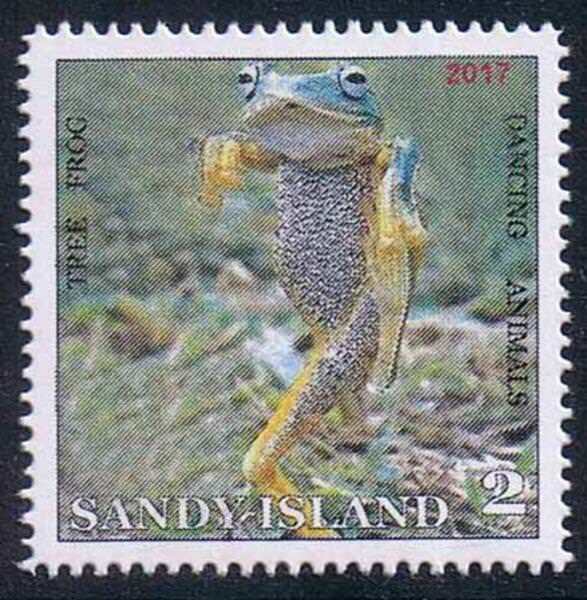 The Sandy Island Post Office will issue a new series of stamps showing Sombrero Island lighthouse, and a tree frog, announced the Postmaster, Signor Fabio Vaccarezza, today. The stamps are in realistic colour; value of each is 2 cents. Date of issue is 8th June 2017. The stamps have been printed in full colour and perforated 12 gauge, by Chan Hui Shudian Printing SA, Minaue, Waikoa Island. Via Monte Suello 1, Milano 20133, Italy. Stamps on cover, and registered covers, can also be supplied to collectors on request. Please add an allowance for return postage to your payment. Exchanges welcome. Correspondence welcome in Italiano or English. Accogliamo la corrispondenza in Italiano o Inglese. 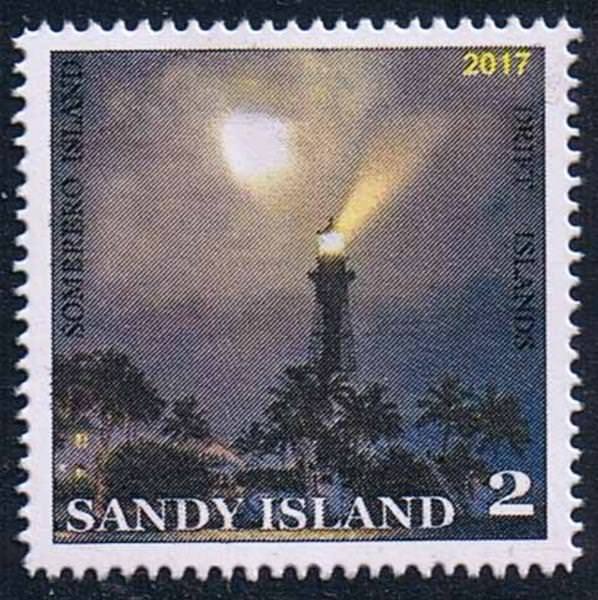 Here is the very first stamp of Sandy Island. The Sandy Island Post Office will issue a new stamp to celebrate the Philatelic Exhibition in Milan, announced the Postmaster, Signor Fabio Vaccarezza, today. 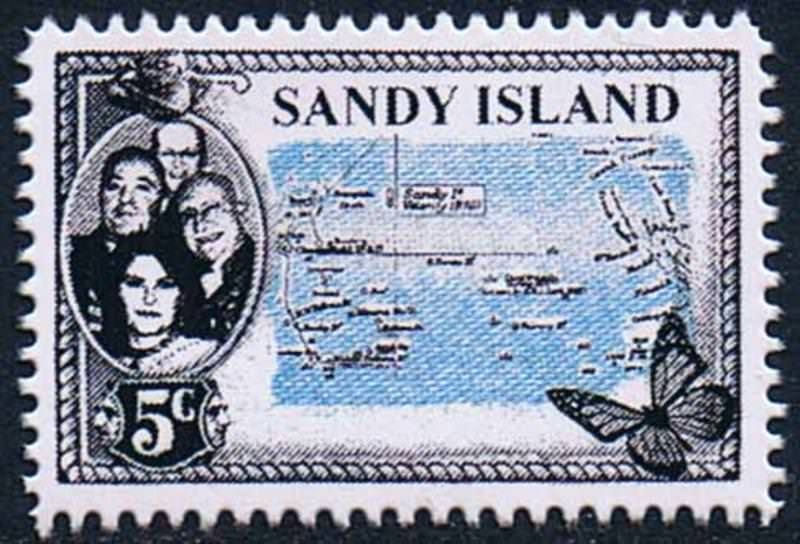 The 5c stamp is printed in black and blue, and shows a map of the Caribbean, with Sandy Island shown. The stamps were printed by the Occussi-Ambeno Government Printer, KDPN, Baleksetung, Occussi-Ambeno. Sadly I cannot recall the date these were done, but think it was 2014 or 2015. Fabio was on the committee organising a Stamp Exhibition in Milan, Italy, and a professional artist did the design. The four folks shown in the oval are the organising committee. I was sent the image and instructed to reduce it down and print it "in the exact size of the Cayman Islands 1935 pictorials." Fortuitously, Cayman Islands is one of the lands whose stamps I seriously collect, so I was able to comply with this request. 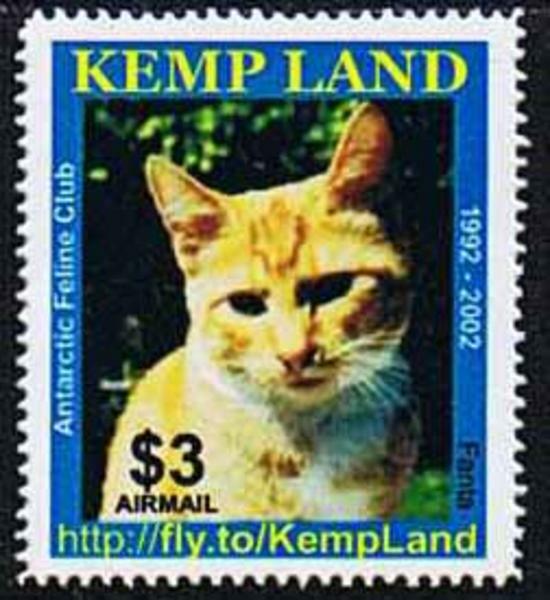 The committee required a huge quantity of this stamp, as one was apparently mounted in each catalogue of the show, and handed out to every attendee. A curious aspect of the design is that the artist who did the design has also included his own visage, twice, on either side of the shield containing the denomination! Sandy Island Map issue, minisheet. A small number of minisheets comprising ten stamps were also printed, and I believe everyone who exhibited was presented with a minisheet along with their certificate or medal. Here is a nice cover from Sandy Island. Sandy Island registered cover to Thanatos, 8th June 2018.